The New England Patriots have won the AFC East division title 14 times since the 2003 season, with a 2008 victory by the Miami Dolphins the only blemish on their record during that span. 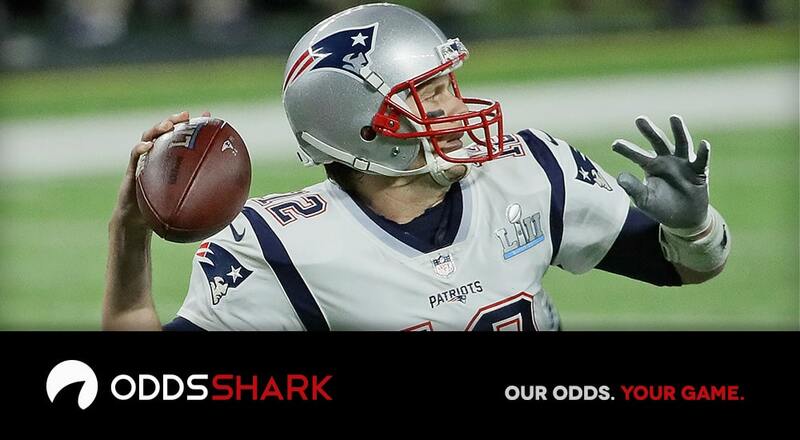 Tom Brady and company are betting favorites on those division title odds once again for the 2018 season at sportsbooks monitored by OddsShark.com. The Patriots are heavy -750 favorites (wager $750 to win $100) on the odds to win the AFC East at the sportsbooks as teams start ramping up their preparations for the upcoming campaign. That puts them well ahead of the Dolphins (+1200), Buffalo Bills (+1200), and New York Jets (+1400) on those betting futures. New England won 13 games last season, and has picked up at least 12 victories every year since 2010. And the Patriots are by far the least lucrative team on the NFL division futures this offseason. The second smallest payout would come from the Pittsburgh Steelers, who are the -260 favorites on the odds to win the AFC North after they also won 13 games last season. The Baltimore Ravens are second at odds of +400, with the Cincinnati Bengals and the Cleveland Browns both at +1000. The other two AFC divisions are then seen as tighter races, with the Jacksonville Jaguars narrow +175 chalk on the AFC South odds over the Houston Texans (+180), and the Los Angeles Chargers at +175 ahead of the +270 Oakland Raiders on the AFC West odds. Over in the NFC it’s the defending Super Bowl champion Philadelphia Eagles who sit as the largest division favorites at -165 on the odds to win the NFC East. The Eagles won 13 games last season, and were the only team in the division to make the playoffs. The Dallas Cowboys, who missed the postseason at 9-7 last year, are second at +350 on those division futures. The other minus-money favorite on the division odds in the NFC are the Los Angeles Rams, who are pegged as -130 chalk on the odds to win the NFC West. Surprisingly second are the San Francisco 49ers at +300, with starting quarterback Jimmy Garoppolo in tow, with the Seattle Seahawks a step back at +375. The New Orleans Saints are then narrow +180 favorites over the +190 Atlanta Falcons on the NFC South odds, while the Minnesota Vikings are even slimmer chalk at +135 against the +140 Green Bay Packers on the NFC North odds.